Silo structure WordPress blog creating the categories. This is step 2 of 7 steps you have to do to build a silo structure WordPress blog. Step 2 is creating the categories that are going to represent the silo structure for our WordPress blog. What is a silo structure? Find out why creating a silo structure WordPress blog will improve your sites SEO its the right way to set up your site. Visitors and spiders will have a better SEO link structure to navigate. Siloing is an SEO technique that if used correctly will create strong keyword related pages all in one category on your site. Improving the relevancy of your site in the eyes of the search engines. Having a silo structured site is like having all your apples on a red dish, all your bananas on a yellow dish, and all your oranges on a orange dish. If you want to choose a apple you can select a apple from the red dish. Other fruit will not be mixed up with the apples. This is what makes the silo structure WordPress blog stronger than other sites. We are now going to create the categories that are going to be used in the silos for our silo structure wordpress blog. 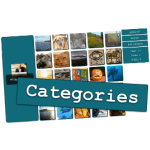 Go to your dashboard and in to categories. You want to create the categories that you are going to use. Make sure the categories you create are keyword rich. Once you have done all the categories and saved them move on to pages. You now need to create the pages for your silos. Watch the video above. Keep all your link juice within your silo structure when you create your website. Go to widgets and remove recent posts, recent comments, archives, and the meta. Now drag the custom menu across to the main sidebar. It will say no menus created yet, click on create some and create your first menu. Now select the pages that you have already made and add them to the menu. Don’t for to press save menu. Now back to widgets and to the menu and select the menu you just made and press save. Now refresh the page and your new menu will be in the sidebar.